In case you missed it last month, social media is my job, so you can probably understand I see some things on Instagram every day. The good, the bad, and the ugly (like, really ugly) are all posted into my feed to be unpacked. But today, I'm here to talk to you specifically about the good—rather, insanely good—items I've come across recently from everyone's favorite fashion category: shoes. Nothing gets me hitting save faster than beautiful shoes, and these are the clear standouts in my folder. 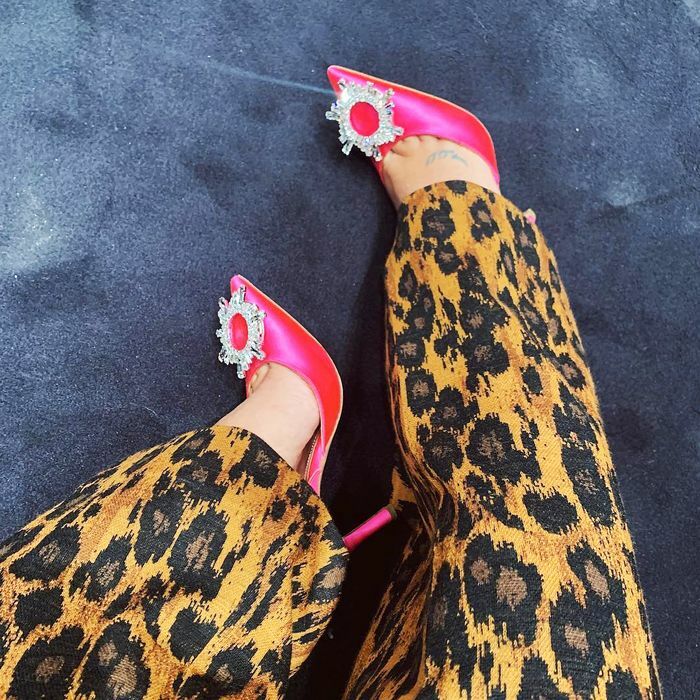 From the snakeskin boots I dream about regularly to the pink satin slingbacks I've been trolling for an excuse to buy, below are the 15 best shoes I saw on Instagram this month. I've also shopped out each one in case you're feeling impulsive. I've never been so into geometry. I'm not even a pink person but damn. So good we had to 'gram them. I would feel like my most mature self in these. ICYMI: Staud launched the dreamiest shoes last month that are guaranteed to be just as coveted as its bags. Talk about a shoe that goes with everything. It's only March, but I can already tell you with 100% certainty these will be the It sandals of summer. Name a cooler way to wear snake print. Another dream Jacquemus sandal to add to the wish list. Leopard boots are always a good investment. The tie-dye trend just got infinitely cooler. These are so good I would even find a way to make them work in the summer. Next up: The fashion people you should be following for innovative outfit ideas.